A recurring issue in dinghy sailing is concussions from boom impacts. Higher booms -- like what we see on the RS Aero and Open Bic -- would do a lot of reduce the frequency of those. These booms seem low. Perhaps even a bit lower than class-legal booms. What are these rigs doing to reduce concussions? I agree high booms don't look as cool as low booms. But when deciding between aesthetics and injury, it's not a hard decision. One of the most challenging aspect of the Laser for new sailors is end boom sheeting, and the fact that the boom can get caught on the corner. Mid-boom sheeting -- again, like on the Aero and Open Bic -- eliminates this problem. Why wasn't that done for these rigs? Hi Al, good to hear from you again. The rig is the result of the 49er and 29er research which, of course, are for experienced sailors. I'll see if Julian can provide more info. There are many boats with end boom sheeting that don't catch the corner of the transom with the sheet. It is one of the few design flaws of the Laser. Any idea how all these new rigs and the three "old" rigs will fit into the racing scene? Will we have multiple classes of boats all racing separately... Laser, Radial, 4.7, C5, C6, C8, plus whatever the new LP rigs will be called? 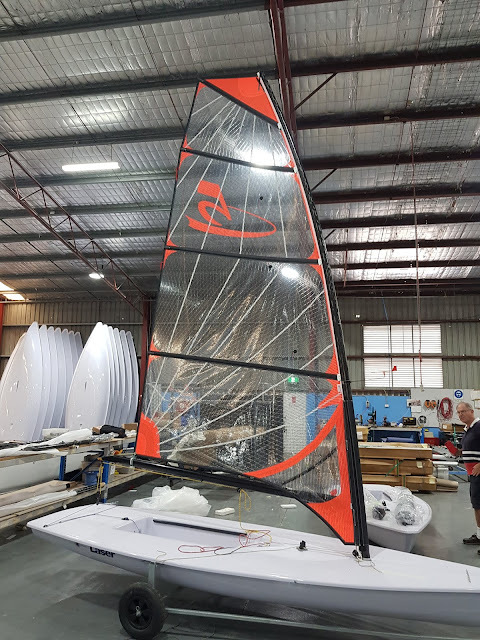 Will it evolve to the new rigs being used by the elite of the class and the old rigs continuing to survive among the crowd that buy second-hand Lasers for $2000 with sails and other gear from vendors like Intensity Sails? Will the Laser hull and foils eventually become a universal platform that will spawn many new classes with new rigs? If the Laser stays in the Olympics which rigs will it be using? I just can't get my head around the complexity! 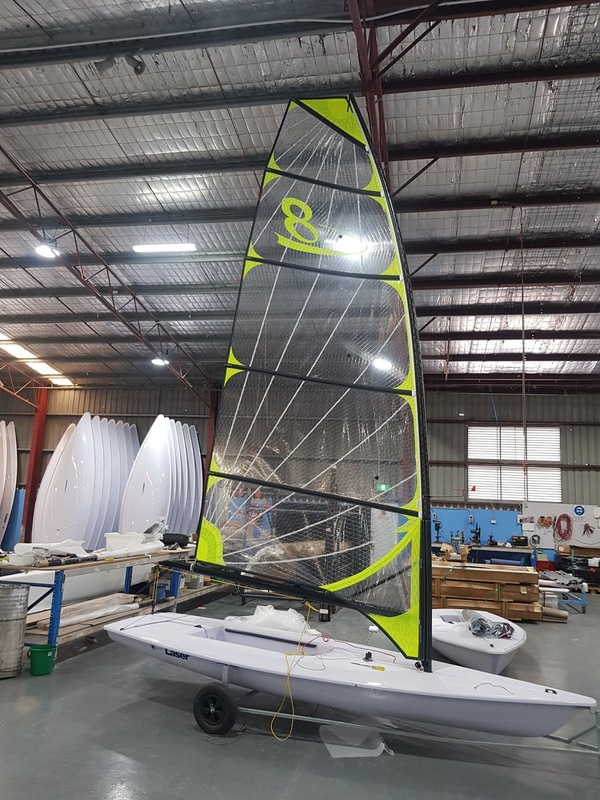 As much as the design is Kirby's and the manufacturing process was Bruce, why is there no mention of Hans Fogh who designed the first sails for the Laser, Laser Radial? So as Tillerman says, how will these rigs work? My little club is growing quickly and has a wide variety of boat ages and sailor skill levels. If those who are racing in championships have to buy a new rig, how many of them may just switch to another class? If they do stay in Lasers and get a new rig, who will they race against? How will it work at club level, when we have half a dozen rigs of different sizes and styles racing together? The idea that everyone at club level can afford a new boat and new rig to keep up is elitism of the type that is doing a lot of harm to the sport and class. For the first time in 20 years I am now thinking of getting out of Lasers, if my club does. It's not because the Laser has not changed - if I wanted pure speed and modern design I'd go kitefoiling. The problem is that if the Laser destroys the club fleets then the class itself deserves to die, because that would show a complete lack of care for the grass roots. I am not sure that my friends in ILCA can stop this revolution. We have already seen how both Bruce Kirby (Torch) and LaserPerformance were quite prepared to start their own class associations to protect their interests a few years back at the start of the Kirby lawsuits. The commercial interests behind these rigs could easily start new splinter classes to support their FrankenLasers too. Things are moving faster than I thought. It was only in January that ILCA were saying that the new rigs have nothing to do with the Olympic submission. Now it is being reported that the Chief Technical Officer of ILCA will have the C5, C6 and C8 rigs in Valencia for the upcoming Olympic sea trials, to be used as a backup if necessary, depending on what the other classes do. Apparently all will be revealed soon on some blog called Improbable Course. Wow, choose your rig: 4.7, Radial, Standard, C5, C7, C?, ARC. I agree with Tillerman's comments elsewhere. The rig is not the problem with the boat. 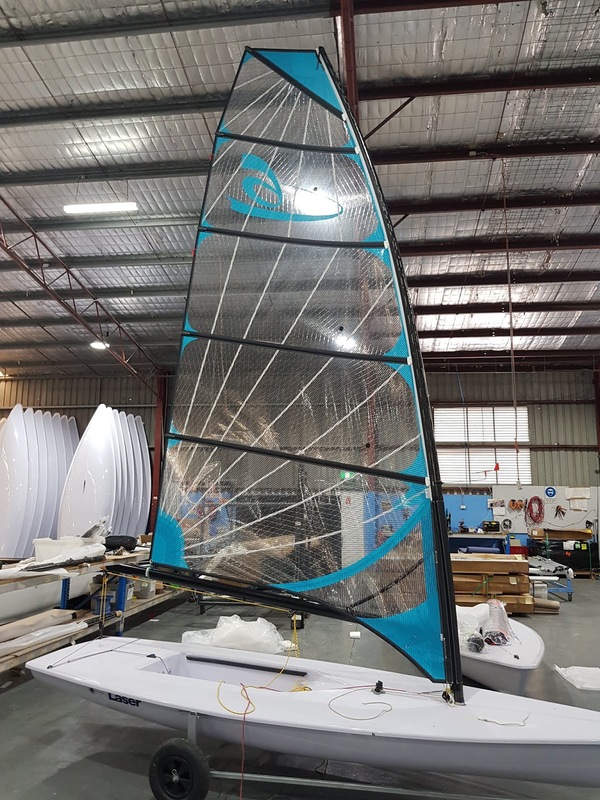 The boat is fine how it is, except for the build quality and perhaps carbon radial lower spar. Small fixes, not wholesale changes. The Laser shouldn't try to complete with newer designs, but rather, it should relish its role like the 505s and Etchells have (and they have thrived). Which is exactly what the class (not the manufacturers) is doing.